Here is a collection of resources related to AI, Artificial Intelligence. We will add new material to this page as and when there is a demand and we will order the page by blending how frequently items are accessed and newness. Artificial Intelligence is the future, but what is happening in market research right now? Report and Blog. Rosie Ayoub and Ray Poynter share a report looking into what sorts of AI is already in use in market research. December 2018. 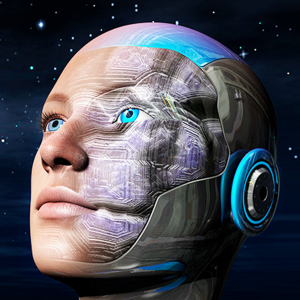 Assisted Intelligence: how smart machines will turbocharge tomorrow’s researchers. Webinar recording and slides. Mike Stevens shows a wide range of examples of the sorts of AI that are having an impact on market research. December 2018. The AI Revolution That Was And Wasn’t In 2018. Article in Forbes by Kalev Leetaru. This article takes a slightly sceptical view of what AI achieved in 2018. We at NewMR would interpret the same findings slightly more optimistically. Letaru makes the point that many applications of AI are producing results little better than older statistical techniques. But, we are happy to see that they are being used and are already competitive with earlier approaches – same data, different interpretation. December 2018. HT Kevin Gray. AI for Marketing & Product Innovation: With Stan Sthanunathan. Webinar recording and slides. Unilever’s Stan Sthanunathan is a co-author of a new book from Wiley ‘AI for Marketing & Product Innovation’. In this webinar recording Ray Poynter interviews Stan about the book and Stan answers questions from the listeners to the broadcast. December 2018. The Beauty from the Bottom of the Data Lake. Webinar recording and slides. Léa Turquier and Benoit Hubert show how Ipsos reimagined a long-standing tracker project, utilising social media and AI. September 2018. (Wo)man vs Machine; from competition to collaboration. Webinar recording and slides. Janneke van den Bent talks about an experiment that SKIM conducted, using two teams to analyse the same qualitative material, one team was 100% human, the second team were assisted by AI. September 2018.